57% Off - RM22 for Set Meal for 2: Chicken Wing Appetizer + Mushroom Soup + Main Course - only RM11 per person - (Original RM51.50) from I Love Discount Deals. Such a great deal for 2 person portion. The location is at SS2 Mall. A new place to explore and you can easily spot it from the glass door. Just outside the walkway. Located at LG Floor and the parking is free. -Tender Stuffed Whole Chicken Thigh Marinated With Our Secret Recipe And Oven Cooked To Perfection. Topped With Henry Cook's Signature Dressing & Brown Sauce, Served With Crisp Lettuce And Mixed Salad. Taste It With Our Extra Spicy POWER Chilli To Heat Things Up! Stuffed Chicken Roll with Yellow Fragrant Rice - From the display picture here, you can sense that this is just like a Malay stall having kebab rice.The website stated that this restaurant Featuring a blended mix of Asian-Fusion, Baba Nyonya and Turkish food. But i can't really tastes that. The rice is hard with smell of Indian spices adding on top the brown sauce that taste sweet.The ingredient does not blend well with the rice.The sauces is everywhere. Little sambal here and there, Hot and spicy, sweet taste and very salty. Alot of Ajinomoto as well.I can't differentiate the taste at all.Whether is it spicy or sweet and sour taste. I doubt this is the dish they get awarded for Winning dish at Food Asia. The first picture is the crispy fish batter with baked herb potatoes.We can choose either the rice or potatoes.The baked potatoes is really hard and no herbs smell at all.The fish is tasteless and again their combination of the sambal, lime, mixed salad is really weird.I don't like the taste and this is totally disappointing deal. After all, this is a cheap deal. RM 11 per person only. But i need to drink tones of water to flush away my thirst because i really felt the food is really salty and weird taste. Honestly if you ask my opinion. i will not come back for another visit not even for their others menu. 62% OFF: 3-course fusion meal at Bon Ton, KL for RM39 instead of RM99 from Hahah Deals. Meal comes with wine & dessert. Strategically located at Lot 10.You can easily spot this location just opposite The Coronade Hotel. The restaurant's is quite pricey but they served high quality of food. Moreover, i enjoy the environment some amount of privacy. BBQ Lamb Chop, served with Garlic Mashed Potatoes, Mesclun Mixed Salad with House Dressing and Mint Jelly. Hakka Olio Noodle, served with Garlic, Fresh Basil, Mushroom, Chilli Flakes, Fresh Prawns, tossed in extra virgin olive oil. (1X) Dessert: Single serving of homemade ice-cream in flavours of pandan / coconut. (1X) Glass of Wine: Red or white, house pouring wine. Mushroom soup tastes so good.Have three little tiny pieces of garlic bread. Our deals comes with red wine as well. This is the DiGi Rewards: DiGi customers who flash their DiGi logo on their mobile phone at Bon Ton, Lot 10 will get FREE beverage worth RM25. Choose from cocktails: Kamikaze and Magarita, or signature mocktail, Kiwi Delight. I choosen Kiwi Delight and this is my best choice. Pan Fried Fish with Dill Herbs Cream Sauce, served with Mashed Potatoes and Mixed Green Salad. The fried fish is juicy and the sauce blends so well.The mashed potatoes tastes good.I love the mixed salad as well. The portion can be for two person. We have reserved our table and this display is for our reference to choose our dishes. There is a wide election of Australian and French flavors is stored at the wine rack. This is how it looks like for the Free Signature Top Hats worth RM 6.90 ++ for every 30 vouchers activated in HAHAH Deals.The Nyonya appetizer is nice with crunchy bottom layer of the Top Hats and with homemade sweet spicy chilli sauce. Homemade ice-cream with pandan flavour. First time trying this ice cream flavours. Really tastes good.I can smell the pandan aroma. This restaurant also serves set lunch and they have live band performance at night. RM49.50 for GoodChen Handmade Snowskin Mooncake Series (4 pcs & 8 Flavors to Choose From) + Cute Velvet Handbag + RM10 Cash Voucher for Next Visit @ GoodChen (Mid Valley, Kepong) from We.Buy.com. Another good deal for the coming Mooncake festival.I'm looking forward to purchase it because of the tempting design of little cutie Doraemon and the unique design of the mooncake. I choosen Mango Tango (With Doraemon printed on it), Black Humour, Yummy Yammy and Beauty Melon.You can see their picture clearly on their website. A cute Velvet Handbag which is actually a cooler bag as the packaging . Used to store hot or cold item.Such a useful bag. 62% OFF for 1 serving of Signature Gourmet Swedish Pancake + Iced Lemon Tea @ Paddington House Of Pancakes for only RM7.90 nett instead of RM20.88 nett from MyDeal. Another great deal in town.Wanted to try this so much. Banana + Coconut +Ice Lemon Tea. Tastes good but quite sweet. 50% OFF Plain Fries + Choice of Mash Potato OR Onion Ring + 1 Drink @ Ireland's Potato for RM6.90 nett instead of RM13.80 from MyDeal. Really cheap and worth the value.The seats are limited .I love the chairs. So comfortable but the area is quite small. The chicken gravy mashed potato is so delicious .The fries is freshly made to order.Together with one 100 plus drinks. We can choose the soft drinks. A very cheap and good deal -RM11.90 for 2 Bento Sets: (Chicken/Fish)+ Rice + Salad + Miso Soup + Fruit + Bottomless Green Tea from Everyday. Bento set for two person at one price. Sound so amazing. Bought two vouchers and i bought my parents in law to try out this new place. 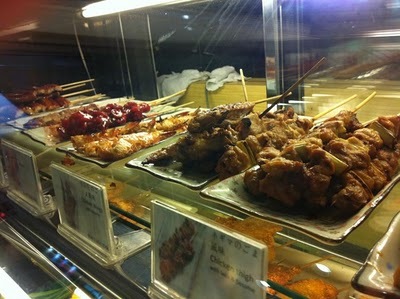 Kushi Q is a Halal Japanese grilled restaurant as Kushi Q orders its foods from authorised Halal food suppliers. Kushi Q brings food hunters a convenient and interesting way of enjoying grilled food but still maintaining the original and delicate flavor of each cuisine. This place is specializes in Yakitori (Japanese satay) and the word Kushi” means “skewer” in Japanese language and “happy” in Indian language, where both meaning best describe the business and philosophy of Kushi Q. Laid back at their restaurant as they provide free Wi-Fi for the customers too! My very first meal in my first trip to Tropicana City Mall. Unique Japanese Restaurant Design .Small area with just few seats available for dine in. 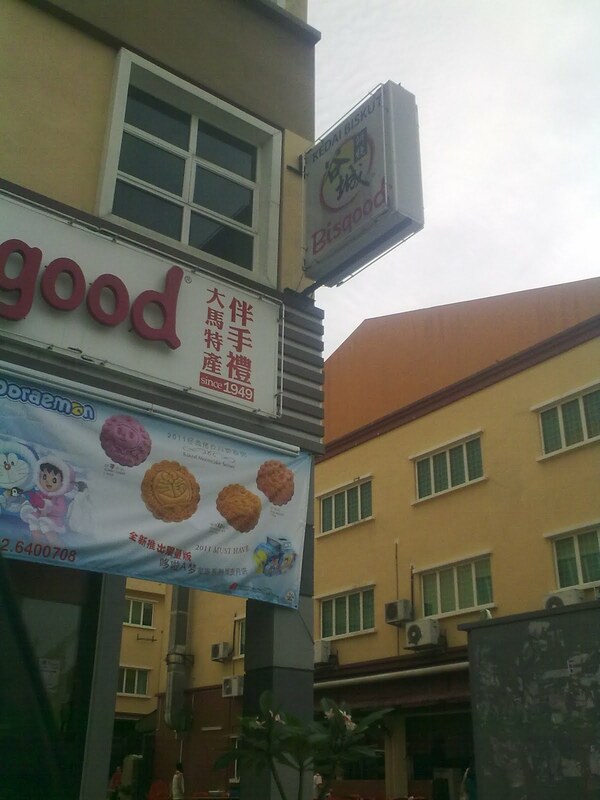 Service is good and located at Lower Ground Floor .When i came up from the carpark, i can easily spot this restaurant. Fish Bento Set - Well cooked Japanese rice. Fish taste is great and it will be more delicious to add the Japanese soy sauce. The salad dressing is good. Green tea is served hot and really a large portion of it. Fresh and sweet watermelon for our dessert. Chicken bento set - served hot with covered pot. Tastes good. Some of the yakitori choices, mostly chicken meat and there is unagi as well selling from RM 2 onwards.Savour delicate chicken, tender beef or juicy seafood skewered and grilled to perfection.